In Australia’s biggest book retailer, where the lights are fluorescent, the music pop and the flooring lino, books aren’t just shelved – they are stacked into piles and reduced to clear. When trying to comprehend the particulars of the Australian book publishing industry, Big W is a good place to start. For as long as I’ve worked in the industry – the better part of a decade – and for some time before that, discount department stores have dominated the market. While we don’t have access to sales figures for Amazon, the world’s biggest book retailer, we’re well informed about the market reach of Big W and similar stores. This is because publishers and booksellers, unlike other industries, share commercial-in-confidence information. Each week, Nielsen BookScan collates, processes and tabulates this information and then shares it with subscribers of their service. The main way we can follow sales trends is through the average retail price (ARP) for a book. If the ARP is much lower than the recommended retail price (RRP), then we know the majority of sales have been through discount department stores. Concerns over book pricing have resurfaced in recent years, spurred on by the ongoing debate around parallel import restrictions. Numerous think pieces have appeared in newspapers and online, and debates have taken place on the airwaves. Those opposed to import restrictions believe an open market will put downward pressure on book prices. More affordable books, the argument goes, will mean a better informed/educated/entertained public – and who could disagree with that? I’m not going to focus here on the particulars of this debate, or on the possible social impacts of reduced book prices. So, where does the money from book sales go? The author seems a fine place to start. Standard contracts afford authors a 10 per cent share of the retail price. There may be a riser written into the contract – that is, the author will receive a larger royalty if the book sells over a certain number of copies, say 20,000 – but for the most part 10 per cent is what is offered and received. An author will often receive an advance. This will be a percentage of the projected royalties for the first print run. 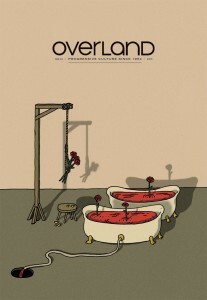 For a $5000 advance, the publisher is likely to anticipate an initial print run of at least 2000, with an RRP of $32.99. There are times when publishers will offer more than this simple equation allows. For example, they will outbid other publishers as a risk-mitigation strategy, even if they don’t think the book will make a substantial profit. This may be to prevent the book making money somewhere else. Or perhaps the author has the potential to be a big deal in a few books’ time. However, this scenario is increasingly unlikely: these days publishers are quick to drop an author after just one lacklustre sales cycle. It’s difficult to get 1500 copies of a debut literary fiction title onto shelves, let alone a poetry or essay collection. More often than not, a book won’t meet the expectations set by the publisher. The second slice of the retail pie goes to the bookseller. As with any product, books are sold at a wholesale price so retailers can earn a return on their investment. The bookseller discount can range from 40 to 60 per cent off the RRP. This will depend on the number of copies ordered and the amount of shelf space that can be guaranteed. The way in which titles are fed into bookshops is a quirk of the industry. Each month booksellers are shown a catalogue of new titles, from which they can order as many or as few copies as they like. For around three months, the bookseller doesn’t pay a thing for this stock. If the books don’t sell, and if the bookseller doesn’t think they will sell in future, they can be sent back to the publisher. This is called ‘sale or return’, and it’s the reason publishers work so hard to drum up media attention – reviews, interviews, excerpts – in the first three months of a book’s life. Without early traction, it’s likely a large number of books will get returned. This is very expensive, both in terms of freight, storage and environmental costs. If too many books are returned, the publisher may decide to pulp excess stock, thus minimising warehousing fees. It’s a dispiriting reality. Publishers obviously want to avoid wastage: the hope is that enough copies will be printed to meet demand while still ensuring an affordable price. A larger print run means a cheaper unit price, but every title is a gamble. Weighing up whether to pulp or not is one of the hardest jobs in any publishing house. The number of copies retained will be determined by a sales forecast based on the six or twelve months prior. Nearly a decade ago, when Harry Potter books were dominating bestseller lists, a strange phenomenon occurred: Big W was able to negotiate a discount large enough that some independent booksellers bought their stock from there rather than from the publisher (their profit margin was better this way). The issue has re-emerged with the latest in the series, Cursed Child – there have been discount department stores retailing the book for a third of the recommended price. It’s worth remembering, then, that Amazon was not the first retailer with the power to shift how the industry operates. This brings us nicely to distribution costs. It’s been widely reported that Amazon founder Jeff Bezos chose to sell books because they are easy to warehouse and ship. While this may be true, books are not always cheap to transport. In Australia, distribution costs are very high due to the size of the country and our relatively small population. As a back-of-an-envelope figure, local distribution costs can be as high as 10 per cent of a book’s RRP. The next slice of pie is taken up with production costs. These include things like typesetting, cover design, indexing and, of course, printing. The unit cost for printing depends on a number of variables, including page length, product specifications (for example, format, paper quality and whether the book has flaps, foil or other embellishments) and the size of the print run. On average, printing costs work out to around 10 per cent of the RRP. It’s cheaper to print books offshore, but most Australian publishers still print locally. While some may do this on the grounds of supporting local businesses, most do so because of tight production schedules. Printing overseas adds roughly three months to a production schedule. This is because books are shipped – airfreight is exorbitant – and customs clearance takes an age. New technologies have helped local printers stay competitive. Books that cost $3–4 dollars to print five years ago may be down to $2 today. This is a significant drop: $1 less per unit on a print run of 5000 is enough to make a title viable. Of course, new technologies are not the only factor in price reductions: job losses, reduced profit margins and ‘flexible’ (read unstable) working conditions are some of the new realities of staying ‘competitive’. Obviously printing is not a factor when discussing ebook pricing (a topic for yet another article). Suffice to say, it is only the costs related to the physical book that come off the bottom line – all other expenses, such as editorial, design and company overheads remain, which is why ebook RRPs have settled at around 60 per cent of the print price. Much of the remainder of the RRP is taken up by staff and overhead costs. Australia is unique in the Western world in differentiating between the staff who do the editorial work and the staff who commission and sign authors. We call the former editors and the latter publishers. There are two things a publisher looks out for when assessing a manuscript. The first question they will ask themselves is whether they love it. The other question: will it sell? If the manuscript meets one – hopefully both – of these criteria, the publisher will take it to an acquisitions meeting. Here the sales, marketing and publicity divisions will debate the relative merits of the project. In an ideal world, the people in this meeting will have sampled the manuscript; most often they have to rely on a blurb. If accepted, a manuscript will proceed to the editing stage. It’s a cliché to describe editorial work as invisible – and to argue it should remain that way – but the reality is that a lot of hard work goes on behind the scenes. One of the things that sets self-publishing apart from trade publishing is that the author is both the creator and client when hiring editors, whereas an in-house or contracted editor is answerable to the publisher, not the author. This distance can be important. Although plenty of self-published writers are capable of maintaining professional boundaries with editors, some struggle to accept critical feedback. This can get in the way of editors doing their job and, ultimately, to low-quality books. Publishing houses work as gatekeepers; most readers rely on them to find and nurture writers of a certain calibre. That said, publishers would do well to consider the impacts of their gatekeeping, particularly in regards to diversity. Australian publishing has made significant progress in welcoming some marginalised voices – this year’s NSW Premier’s Literary Awards showed a significant shift towards Indigenous and migrant writing – but there is still much work to be done. Greater staff diversity is also desperately needed. Those who work in the industry tend to do so out of passion, rather than career ambition or financial remuneration. Publishing salaries tend to be modest (compared with teaching and nursing), partly because of the industry’s slim profit margins. But there is another reason: there is a greater supply of keen arts graduates than jobs. Because positions are hotly contested, and because staff generally have a love of reading and books, plenty of work is undertaken out of hours, whether it’s unpaid assistants reading submissions, editors working weekends or publicists managing evening launches. There is an award wage for publishing determined by Fair Work Australia, but the ‘reasonable overtime’ clause tends to be interpreted loosely. The other major cost that publishers shoulder is marketing and publicity. This includes advertising spend, designing marketing materials, paying publicity staff and organising travel (if there is an author tour) and the occasional fancy lunch. Not all books receive dedicated publicity attention, and part of this work is nowadays the responsibility of the author. Acquisitions meetings always include the question of the author’s reach and networks – a relevant question both for publishers and for authors feeling the pull of self-publishing. Finally, there are the hidden costs that publishers look after. These are the general operating costs and overheads: salaries, rent, utilities, office supplies and so on. There are also miscellaneous costs, such as entry fees for awards. 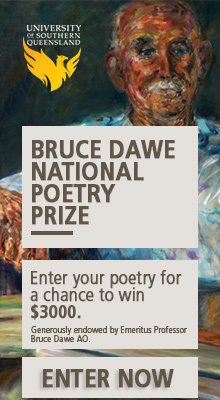 The entry fee for the NSW Premier’s Literary Awards, for example, is $100 per title. This amount contributes to the administration of the prize, but is also used as a deterrent for publishers submitting too many titles for consideration. Although awards offer nice recognition, they generally don’t have an impact on sales. Before the Stella Prize came along, the only awards helping sales were the Miles Franklin and the Children’s Book Council Awards. The prize money goes entirely to the author (unless they have an agent who takes a cut of all earnings) and so this is the kind of work that publishers do for the sake of prestige. But when extrapolated to each book published, this becomes a large line item. The costs outlined above equate to a slim profit margin per book. Factor in the possibility that a book sells fewer copies than anticipated – a scenario far more common than the runaway success of publishing’s outliers – and the industry’s precarious profitability is revealed. The Pareto Principle is at work here: 80 per cent of a publisher’s income is earned by 20 per cent of the books. Publishing is a risky business with very little in the way of market research. Relative to other content businesses, little is invested in the launching of new brands, and copycatting abounds when something does well. The most successful tool remains word-of-mouth – and although word-of-mouth can be encouraged, it can’t be bought. Outsiders have asked me why publishers don’t just produce those books that fit into the 20 per cent and enjoy better profit margins and higher wages. The problem is that not even the most experienced publishers know what books will sell. Random House was able to give all their employees Christmas bonuses a few years ago because of the unexpected phenomenon that was Fifty Shades of Grey. Sales of this magnitude are few and far between, which means so are Christmas bonuses. There has recently been a discussion about the relationship between currency markets and book pricing. When the Australian dollar hit US$1.10, it was suggested that local publishers should crash their prices in order to bring them in line with American books. Similarly, when the pound sterling lost traction against the dollar, similar calls were made. Addressing the issue, in the Sydney Morning Herald in June this year, Sandy Grant of Hardie Grant was quoted as saying that his company had engaged in ‘price gouging’ in times of a strong Australian dollar. But now that the dollar has sunk to a ‘natural’ level, Australian prices for foreign books have tighter, more customer-equitable margins. I’m ambivalent on this point: if publishers had decreased prices at the time and then subsequently raised them, it would highlight the price differential and consumers would be more disgruntled. As a publisher, I want a strong market for local books, booksellers and literary media, and I don’t necessarily think that cheaper books is the path towards that goal – though we are in dire need of research into this issue. When it comes to the question of pricing, my favourite comparison is cinema. A ticket for a standard session at your local cinema will be around $20. Let’s say, like most people, you go to the movies with a friend or partner or your mum – that is $40. The experience lasts around two hours, and includes advertising. Once you’re done, that is it – no re-watches included. A book generally lasts much longer and can be lent to your friend and their friend and their friend after that. Buying an Australian book also has a positive economic impact: not only has it cost the taxpayer far less than an Australian film, it has also contributed to an industry estimated to be worth around $2 billion each year. True, you may be able to get the same book for cheaper in the UK – but the UK is a smaller country with a bigger population, so each of the costs outlined are shrunk down by scale. In the same way that a hamburger in Australia costs more than your average hamburger in the US as a result of economic forces, Australian books costs more than those in the US or UK. Doesn’t it make sense to pay the price it costs to produce a book in this country? But remember we’re not just talking about fast food. We’re talking about culture. A neater comparison would be the Great Barrier Reef: protection guarantees the present and the future of the ecosystem. Once lost, there is no price that will bring it back. Alice Grundy is associate publisher at Brio. She is co-founder and editor-in-chief of Seizure, an incubator for Australian writing, based in Sydney.